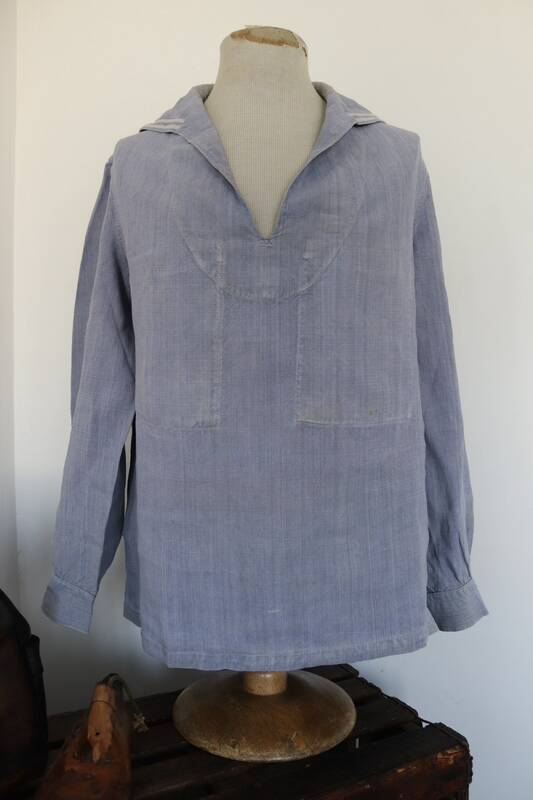 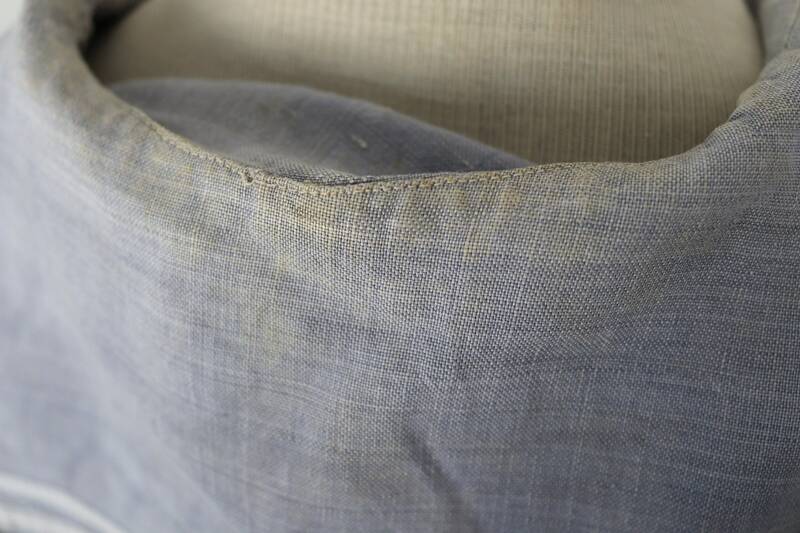 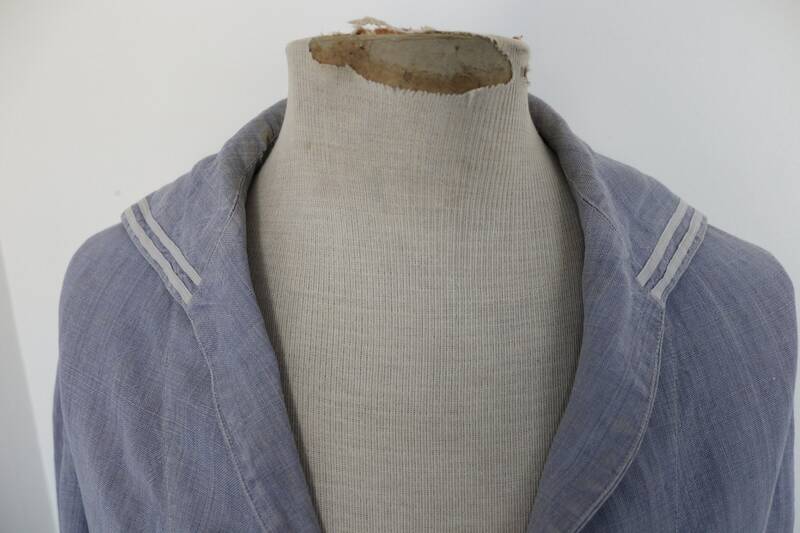 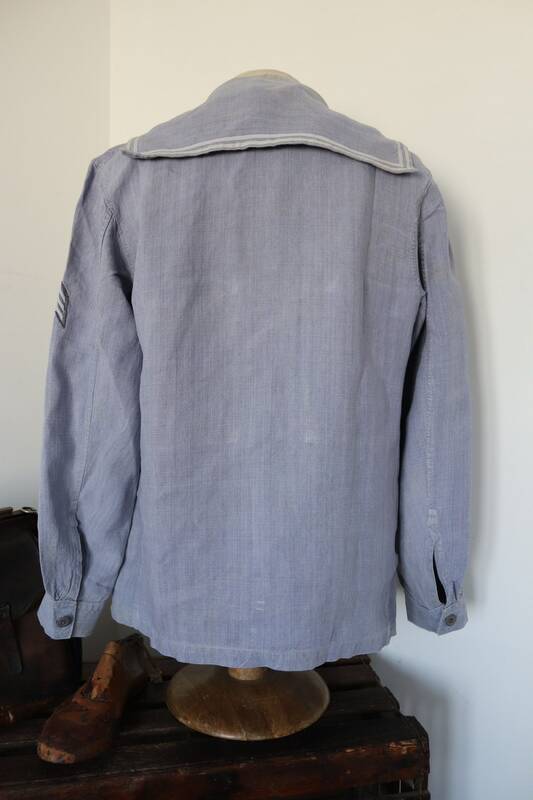 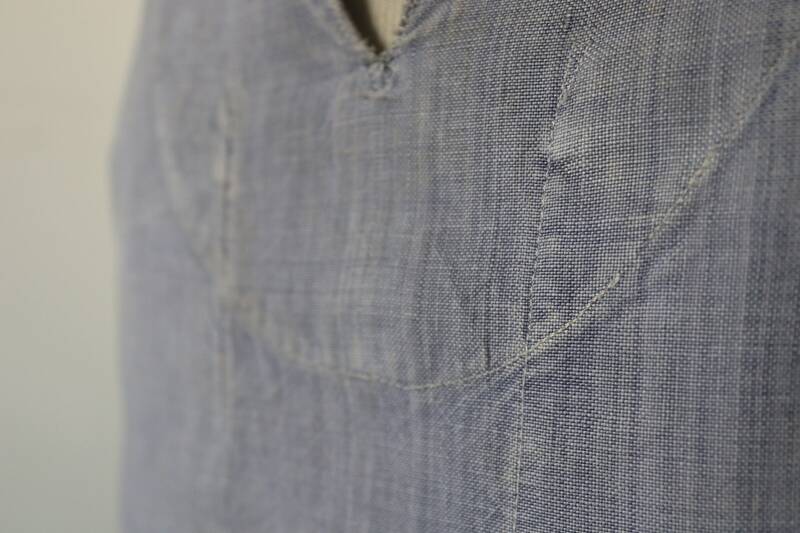 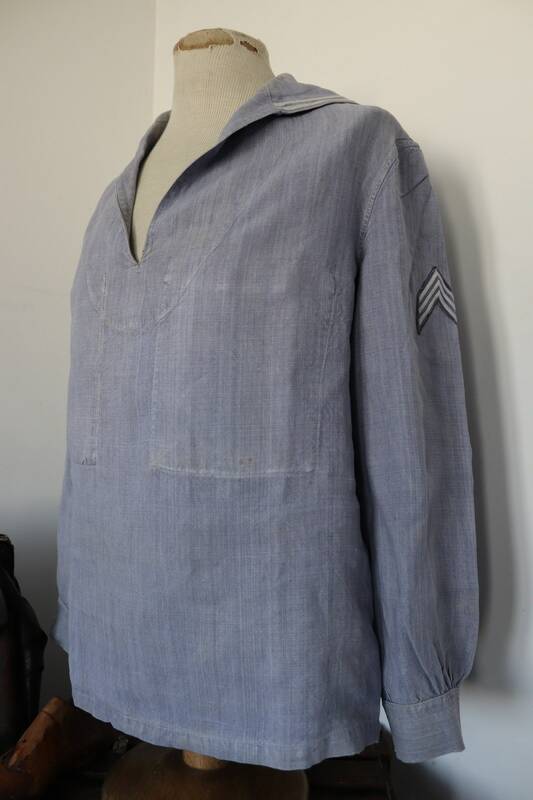 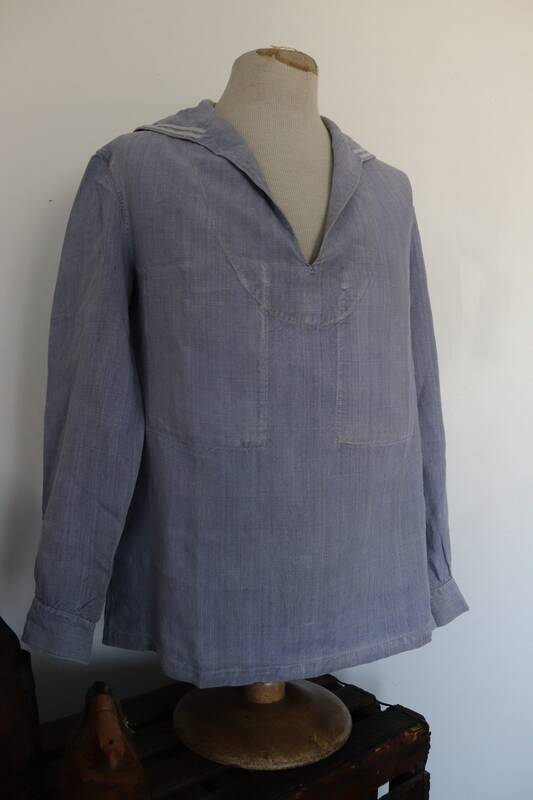 A pale blue French Marine Nationale bib top dating from the 1950s. 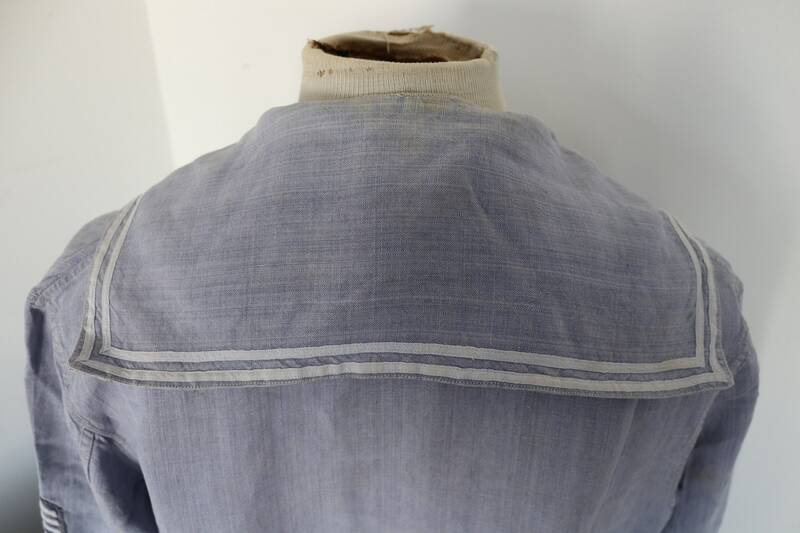 Noted flaws - some marking at the back of the collar and some small spots on the centre front - please see photos. 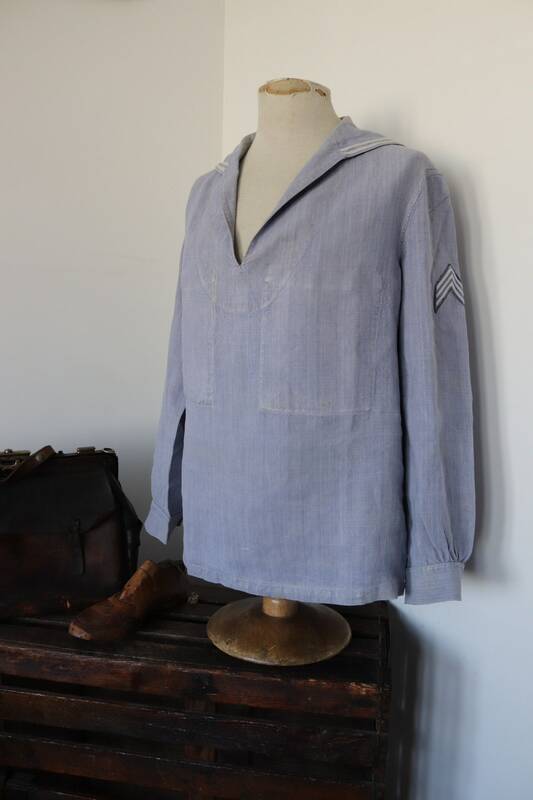 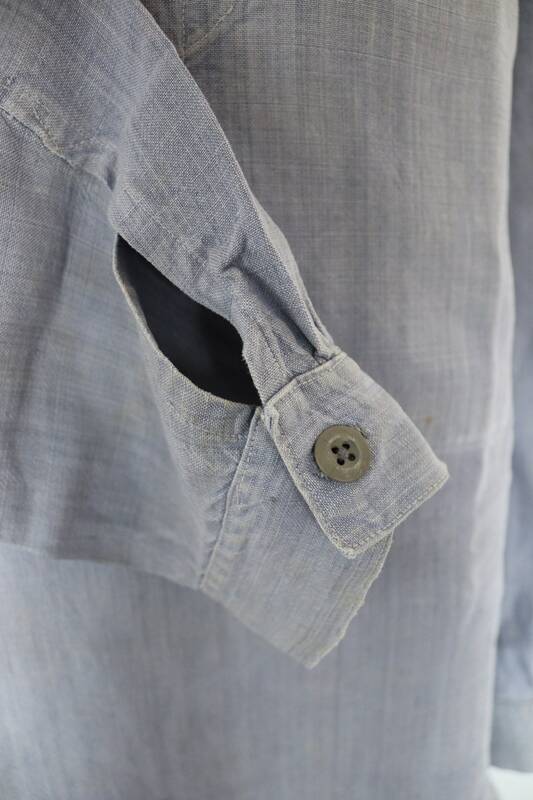 Beautifully made, open collar, back bib with appliqué details, rate chevrons on the left arm, no holes or repairs, button over cuffs, suitable for men or women, excellent quality.